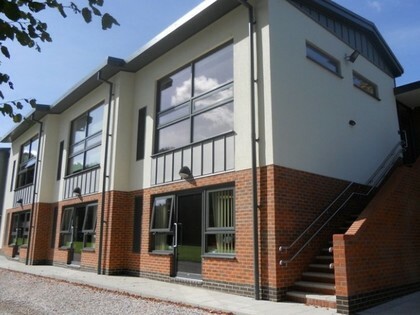 In September 2015, Aberdour opened its new Innovations Centre with two floors of excitingly different facilities which stimulate the children's abilities in creative thinking and self-expression. 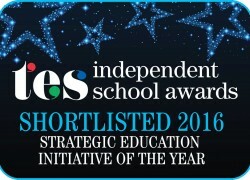 This Centre has been shortlisted in the 2016 Times' Independent School Awards in the 'Strategic Education Innovation' category. An Interactive Languages Studio delivering a programme of Languages, Linguistics and Culture. The studio replicates life abroad in a rotating selection of practical environments (including Green Screen technology) where children are encouraged to develop practical language skills and creative ideas for living and working in foreign communities. A radical and exciting Maths Studio which brings mathematics principles to life and embeds numeracy in every aspect of pupils' critical thinking. Teachers lead lively stimulating teaching based on projects and self-exploration. With brightly coloured soft furnishings, instead of desks and chairs, the whole studio is about flexibility, energy, ideas and peer learning. A Dance, Yoga & Drama Studio which is a top-quality mirrored space (incorporating a Green Screen technology wall) for physical expression, again encouraging creativity and experimentation. The Innovation Centre enables Aberdour to deliver a comprehensive range of creative themes which encourage discovery and imagination. STEM knowledge will provide our pupils with the problem-solving skills necessary to be innovative and creative thinkers. Building, designing and testing solutions allows pupils to work as young scientists and engineers whilst improving technological, scientific and mathematical skills. They acquire knowledge through active participation. At Aberdour, through STEM learning, our pupils will develop a range of problem solving skills that will benefit them throughout their academic and working lives.